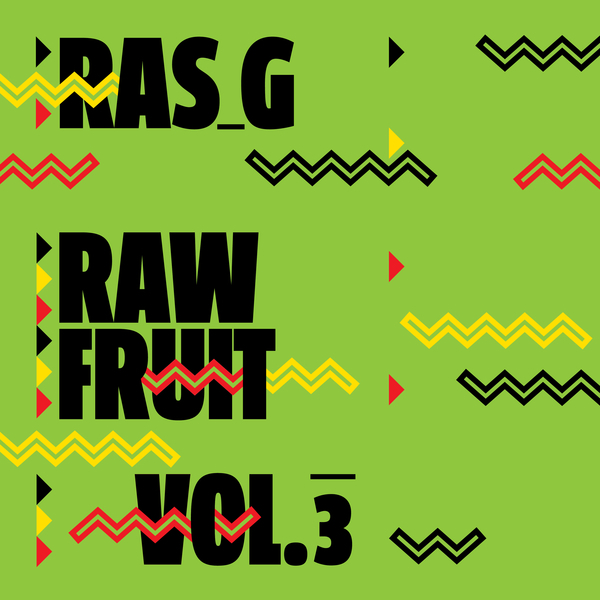 Ras G drops volume 3 of his 'Raw Fruit' beat tape adventures. Still sippin' on that Sun Ra juice and blowing big green smoke rings to the sky, he crumbles, mixes and rolls up 17 nuggets with patented freeform flair. We're particularly feeling the taste of 'Tomita Kush' and 'T.V. Party' with their scratchy wave samples, and the Afro-concentric spirals of 'Wulu Rhythm'. Can't wait to spark this up in the easy chair.